Count on our same day dishwasher troubleshooting and effective repair work any time your appliance is not working properly. We can fix problems causing overflows or small leaks, replace any worn part, and level the dishwasher. Call our Mega Appliance Repair in Central LA if the dishwasher at your home kitchen is making strange sounds, fails to latch, or won’t drain. Rely on our thoroughness when we service this special kitchen appliance and trust our team to install the new one. From any urgent dishwasher repair Central LA work to routine service and new unit installation, our team can assist you with anything you require. We provide fast dishwasher repair. Located in the Central LA, our company serves the local residences. As home appliance experts, we can fix any dishwasher no matter of its make, technology, or model. We provide quick repair service and arrive at your house fully equipped to diagnose and fix the problem. Call us for new dishwasher installation. We can fit any dishwasher type and do the job well and with attention to the specs of the appliance. All connections are done correctly so that the appliance will use the right amount of water and energy to work. Trust dishwasher maintenance to our team. Our experts are available to cover your annual routine service needs. With daily usage, dishwasher parts might get moldy, corroded, worn and broken. We do routine inspection and any repair work required in order to tune up the appliance. Our Central Los Angeles company uses the best quality repair parts when our techs must replace parts. We carry them with us in order to replace the damaged components, which cause damage. Clients can depend on our effective work, quick response, and experience. 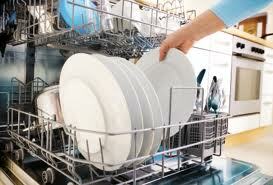 Contact us any time you need dishwasher repair in Central LA, California.